Year 1 have been getting creative! As part of our topic on 'We are what we eat', Year 1 have been creating some masterpieces in the style of Giuseppe Arcimboldo! Take a look! 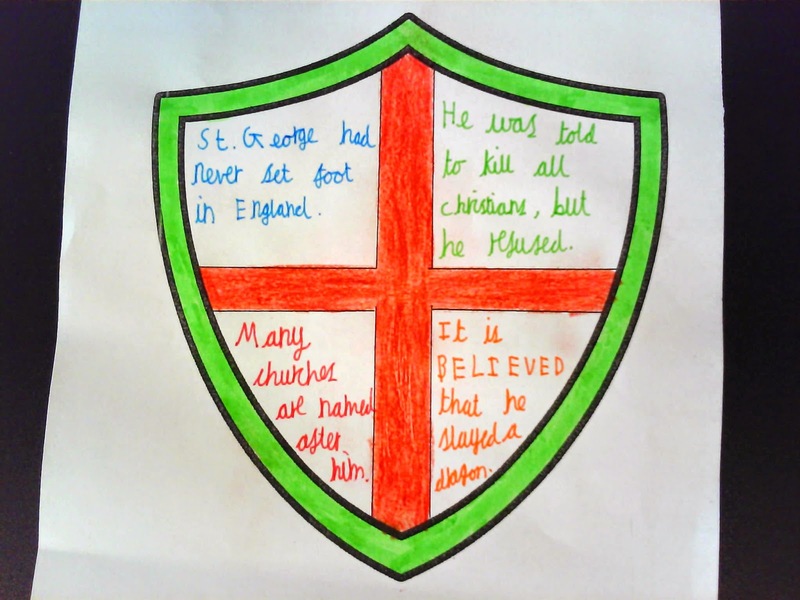 The 24th of April is the fantastic St. George’s Day where we celebrate the life of England’s patron saint. We celebrate his life because of how he stood up for what he believed in, even when the consequence was death! Many years ago George was a Roman soldier and he was a Christian, and when he was ordered to kill other people of the same faith he refused (he bravely stood up for what he believed in). 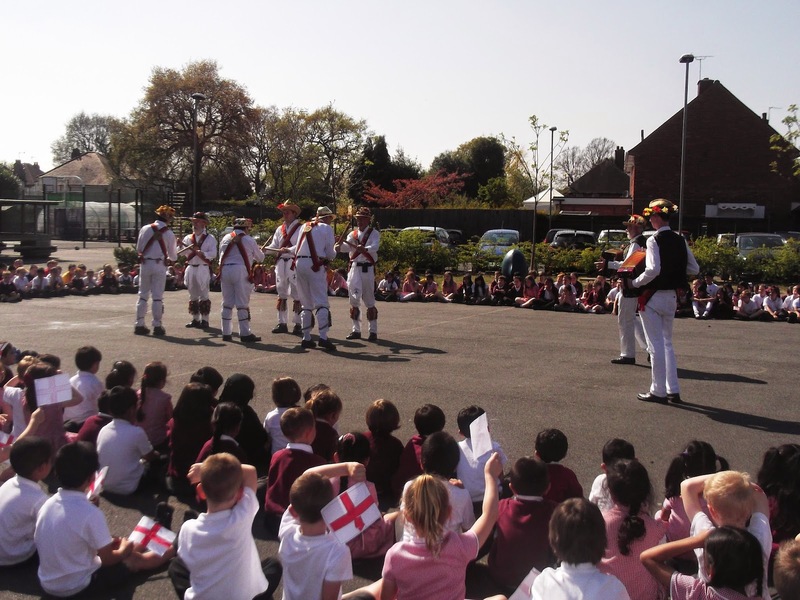 In Year 6 we celebrated this day by being taught Morris Dancing by actual Morris Dancers. This is a traditional dance believed to be brought back from Spain by John of Jaunt (the second son of Edward III) where he was fighting. 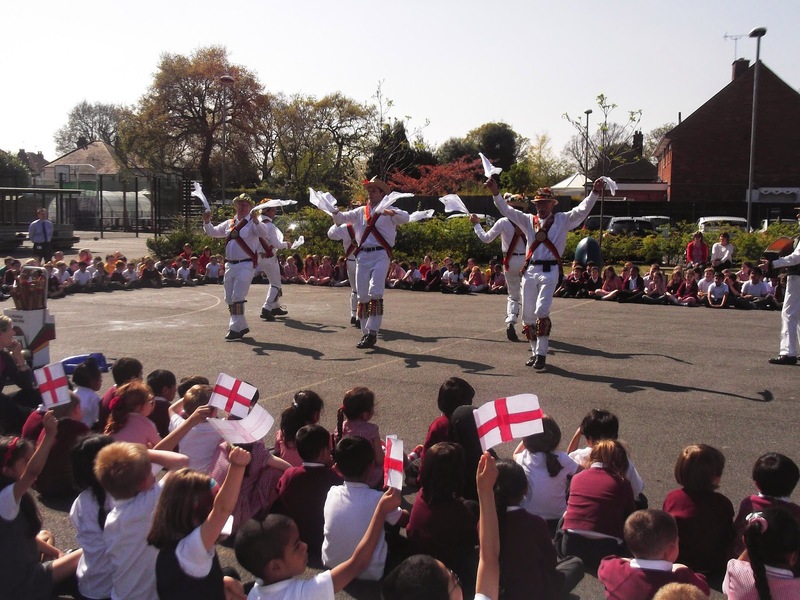 However, no one knows for certain the origins of Morris Dancing, and there are many other beliefs about where it came from! We really enjoyed learning the dance and then the whole school enjoyed watching the dancers complete even more complicated routines! 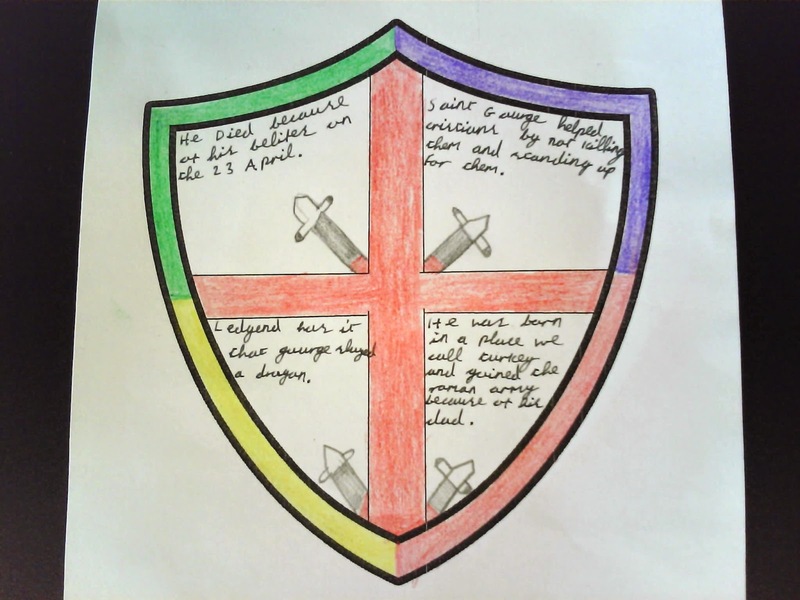 Another way we celebrated the day was by designing St. George shields (which we decorated and added facts). Please see some examples of these below. We enjoyed this day very much! 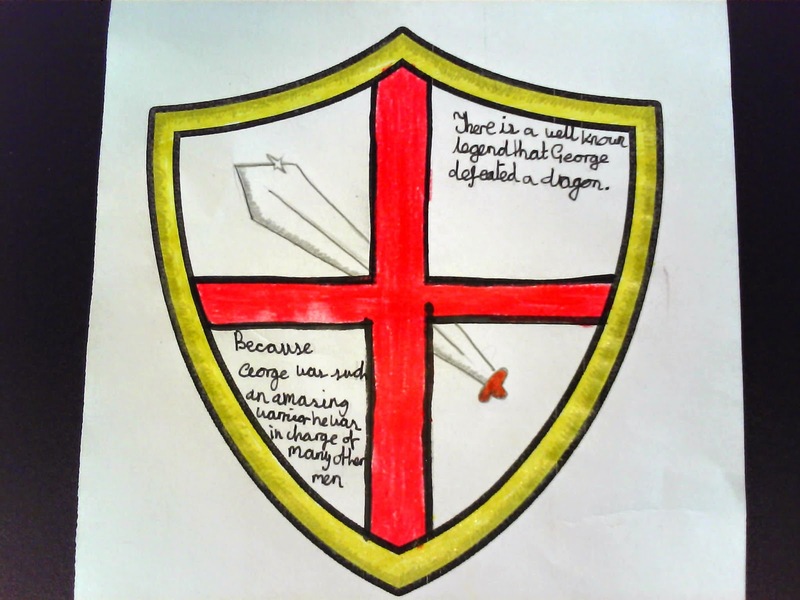 On Thursday Nursery enjoyed learning about the story of St. George and the dragon. The children made some masks to role play the story and built a castle for George using 'Poddely'. 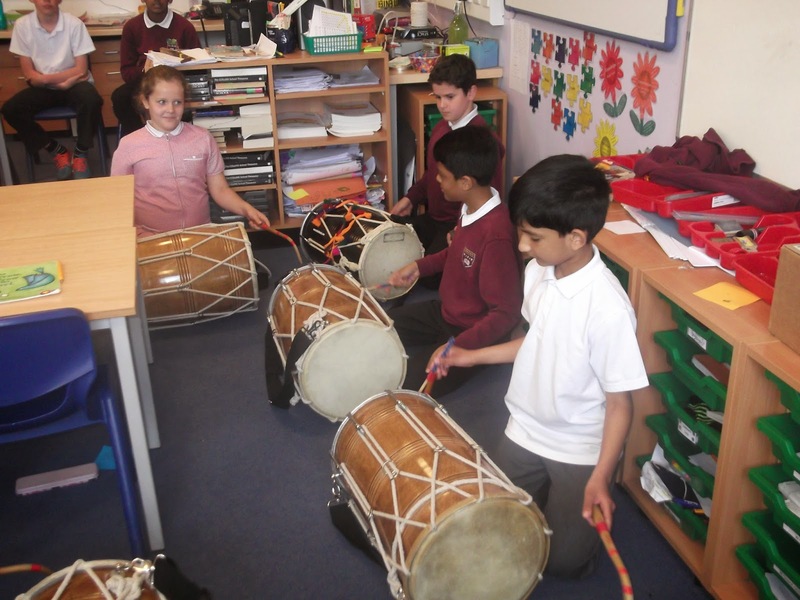 We had a great session with Mr Singh on Thursday 23rd April , learning to play the dhol drums. 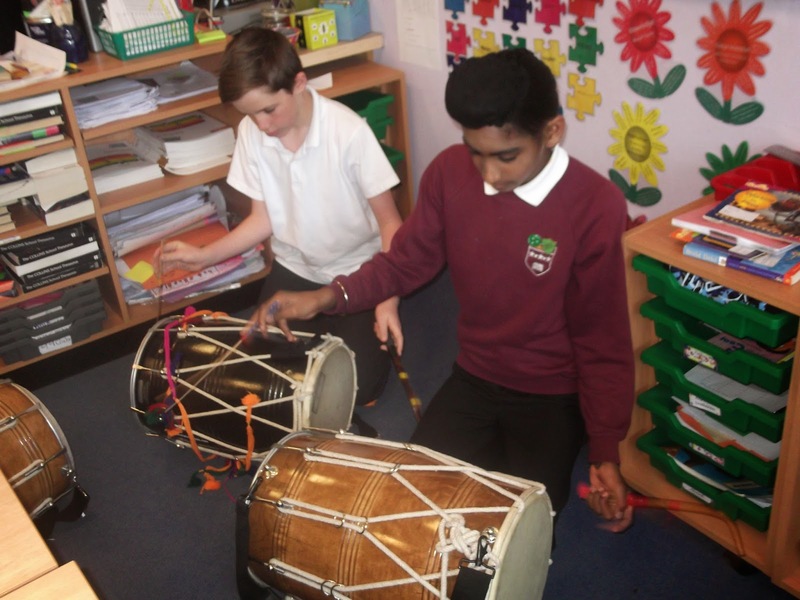 Bradley and Johnny from Year 6 gave us some demonstrations and then we all took turns to play some rhythms using both beaters. We created a happy sound-loud and fast! and thoroughly enjoyed ourselves. 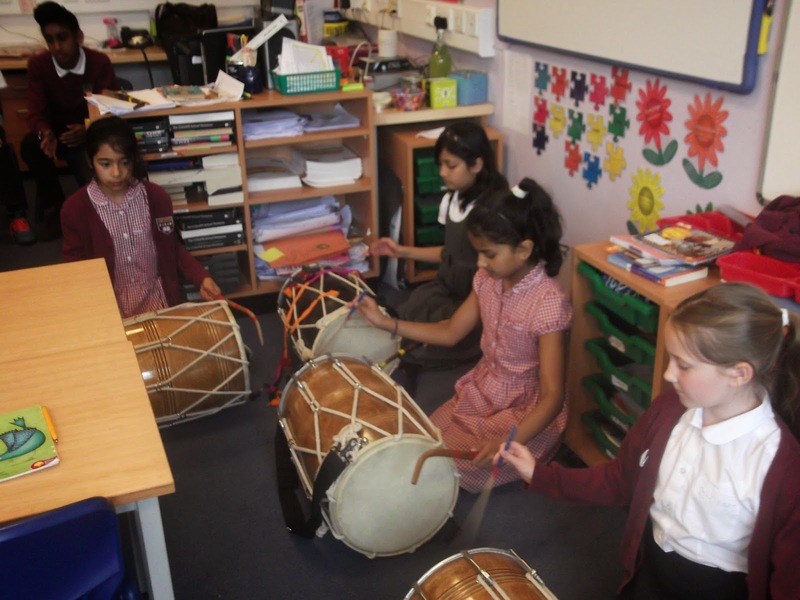 We also learned about where the dhol drum originates from,what it is made from and what special occasions it is used for. 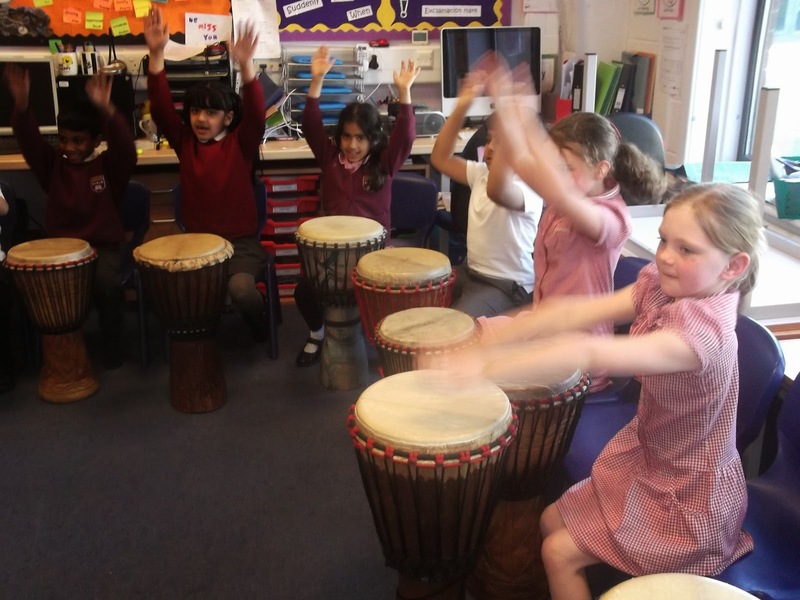 Year 2 had a very enjoyable day on Thursday 23rd April, firstly acting out the story of St George and the dragon in groups, then taking part in djembe drumming workshops with Andy. 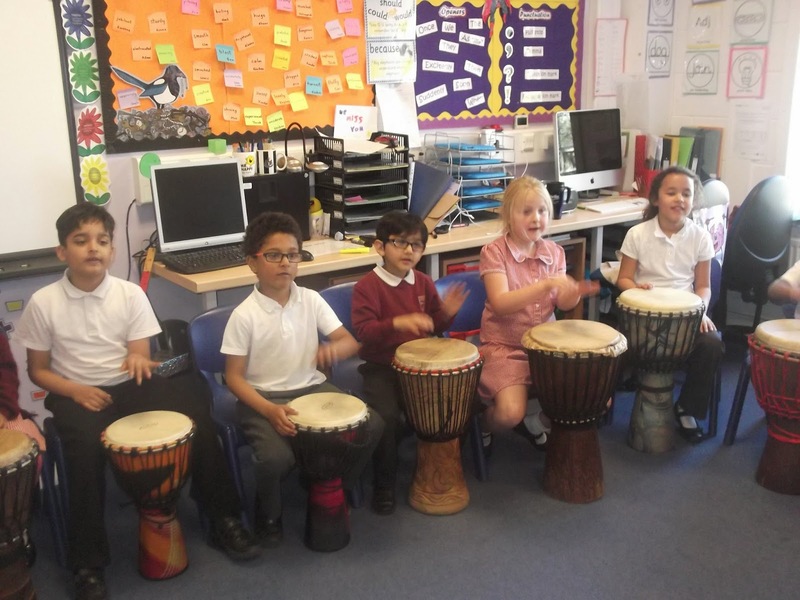 The children listened very carefully, copied different rhythm patterns and combined them to create some good pieces of music. At the end of the day, we watched the 1st Sedgeley Morris dancers perform a hankerchief dance and some different stick dances. It was a lovely end to a very diverse day- reflecting our society in Britain today. Comic Artist for the Beano, Kev F, visited year 4 today. We had a brilliant day being taught how to create our own characters and draw our own comic strips. During the session Kev F drew a picture of each of us to go in our own comic books. We will be able to take home a copy of the class comic books that we created during the workshop. Hello world. 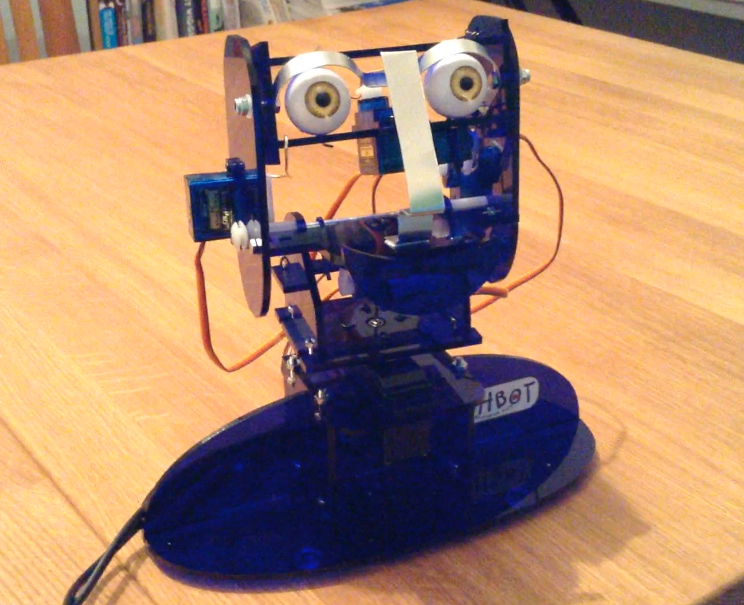 This is Oh-Bot number 16 reporting for duty. I can't wait to start working with the children at Chilcote Primary School! On Friday we turned our classrooms into a cafe. This was the Entry point Day for our new topic "We are what we eat". It was a very exciting day and very hard work too! In the morning we made all the things we would need to use in the cafe; menus, table numbers, signs, flowers to make the tables look beautiful and cakes to serve later in the day. 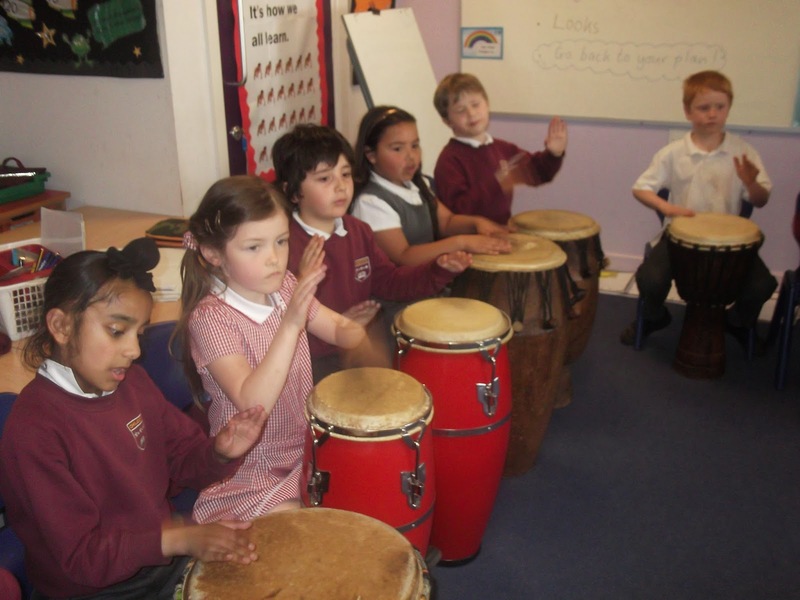 On Thursday morning Year 1 had a wonderful time learning how to play the African drums. 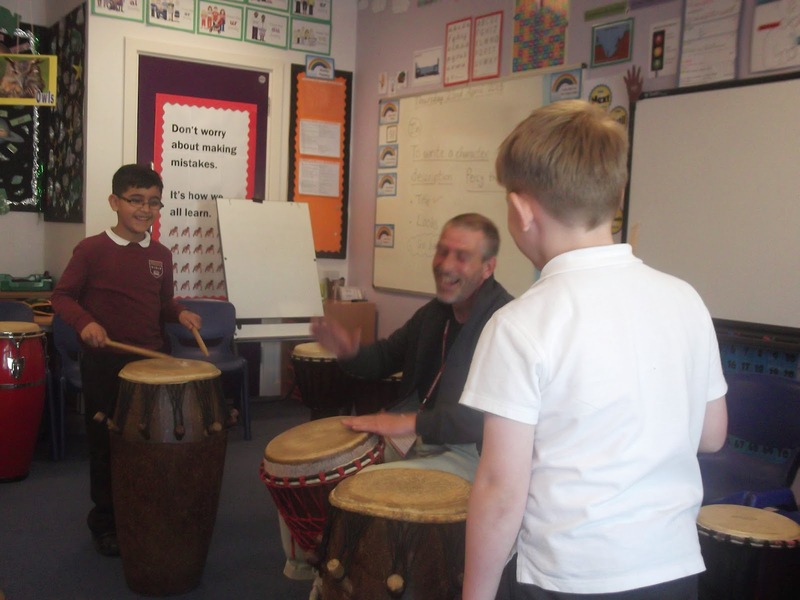 Andy brought a wide variety of drums into school for the children to play. 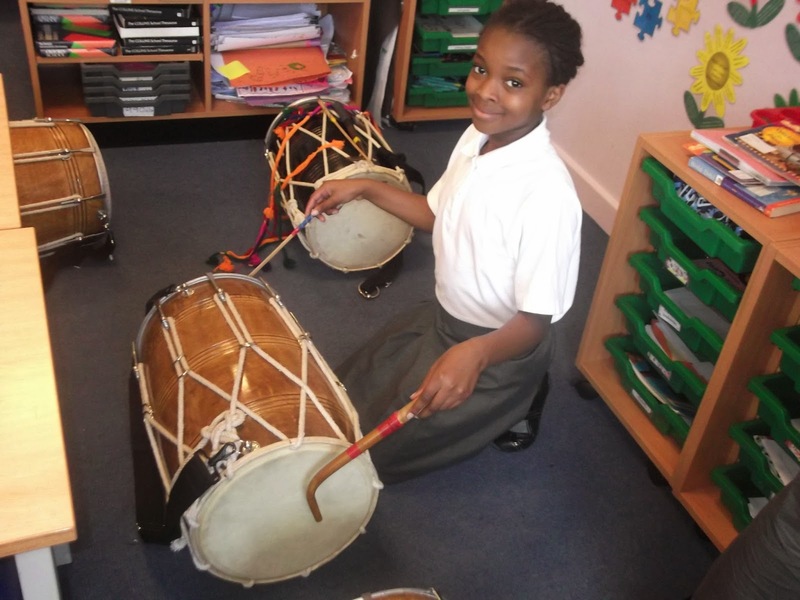 Everyone had the chance to join in with an extremely exciting way of making music. Mr Merrick plays the Blues in Year 6!